December 31, 2009  Eight Americans were killed and a half dozen others were wounded in southeastern Afghanistan when a Taliban suicide bomber infiltrated their heavily fortified base Wednesday. It was the worst attack on Americans in Afghanistan since October. The U.S. government is not saying who the victims are, although it appears some, if not all of them, worked for the CIA. December 25, 2009  Ask people in Afghanistan about justice and they'll very likely tell you there isn't any. The U.S. and its allies have pledged to rebuild Afghanistan, but the coalition has lagged in its efforts to develop the rule of law — and ignoring the lack of justice is proving a costly mistake. 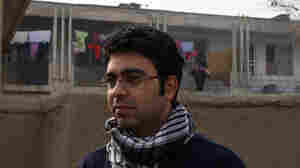 December 24, 2009  Many Afghans complain that the United States and other donor countries are spending billions of dollars creating a hodgepodge of expensive and often shoddy relief and development projects in dangerous areas. A U.N. official says it's time to "let the kid drive," allowing Afghans to direct aid projects. December 22, 2009  President Obama's strategy for Afghanistan includes an ambitious plan to churn out thousands of new army and police officers to fight the Taliban and al-Qaida. But the rapid buildup could create many more problems than it solves. December 3, 2009  The top American commander in Afghanistan spent a second day briefing Afghan government officials about how President Obama's new strategy will play out there. Gen. Stanley McChrystal says his main goal is to pair the additional U.S. and NATO troops with Afghan soldiers and police officers. McChrystal says this will speed the handover of the country's security responsibilities to Afghans, which if President Obama has his way, would begin in 18 months. December 2, 2009  Gen. Stanley McChrystal, the top U.S. commander in Afghanistan, spent Wednesday pitching President Obama's revised Afghan strategy to his troops and Afghan officials. McChrystal acknowledged it's going to take more than words to persuade Afghans that Obama's new strategy can bring peace. November 5, 2009  In Afghanistan, a runoff election was called off this week, handing incumbent President Hamid Karzai a second term. Many Afghans are adamant that Karzai deliver change this time around, and his Western partners have plans to set benchmarks he will have to meet. November 2, 2009  Afghanistan's election commission has cancelled plans for a presidential runoff vote, and declared Hamid Karzai the winner. 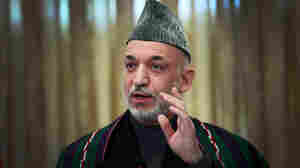 The move followed a decision by Karzai's only remaining challenger, Abdullah Abdullah, to pull out of the race. November 2, 2009  The country's election commission announced Monday that Hamid Karzai will get another term as Afghan president. Karzai was supposed to face a runoff election on Saturday, but there was no point once it became clear he was the only candidate running. His challenger Abdullah Abdullah withdrew Sunday. November 2, 2009  Afghan President Hamid Karzai will apparently remain in power. Karzai's only challenger dropped out of the runoff Sunday. Former Foreign Minister Abdullah Abdullah cited concerns about a corrupt election process. Abdullah was widely expected to lose in the next round, and power sharing talks had failed. October 28, 2009  Taliban militants stormed an international guest house in Kabul on Wednesday, killing at least 12 people, including half a dozen U.N. staffers. The Taliban said it was part of an offensive related to the Nov. 7 runoff vote for the presidency. The militants have repeatedly vowed to disrupt the poll. October 28, 2009  A Taliban attack on an international guesthouse in the heart of Kabul killed at least 12 people — including U.N. staff members. A spokesman for the Taliban said it was the first of many attacks they plan to carry out to disrupt next month's runoff election. October 26, 2009  Throughout the war in Afghanistan, most of the insurgent attacks have occurred in the eastern and southern parts of the country. But the northern part of the country has become unstable as well. 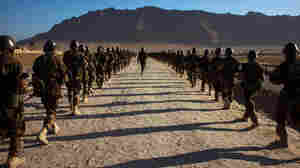 Afghans' growing frustration with their government, and tense relations between the locals and Western forces, are helping the militants gain traction in the once-stable north.